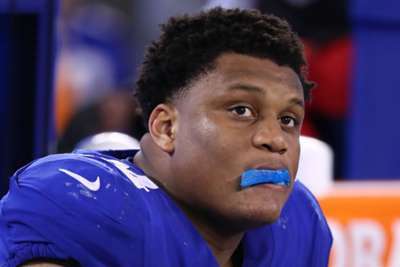 Ereck Flowers has signed for playoff contenders the Jacksonville Jaguars after leaving the New York Giants. The Giants released Flowers on Tuesday and he cleared waivers on Wednesday before visiting Jacksonville on Thursday. A reported one-year deal with the Jaguars was completed on Friday. The 24-year-old struggled to live up to the expectations that came with being the ninth overall pick in the 2015 NFL Draft and quickly fell out of favor in New York, with the Giants said to have tried to trade him last year. Flowers still opened the year as the starting right tackle under new coach Pat Shurmur, but he was benched after two games and then cut loose. We have signed OL Ereck Flowers to the 53-man active roster.